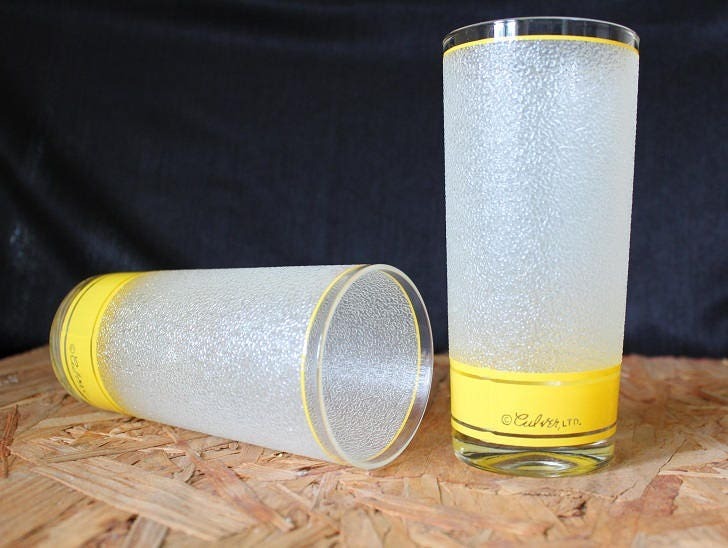 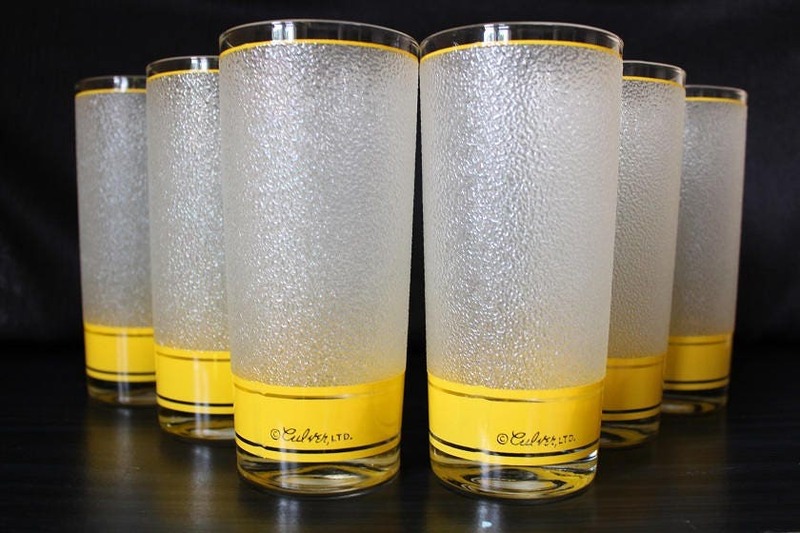 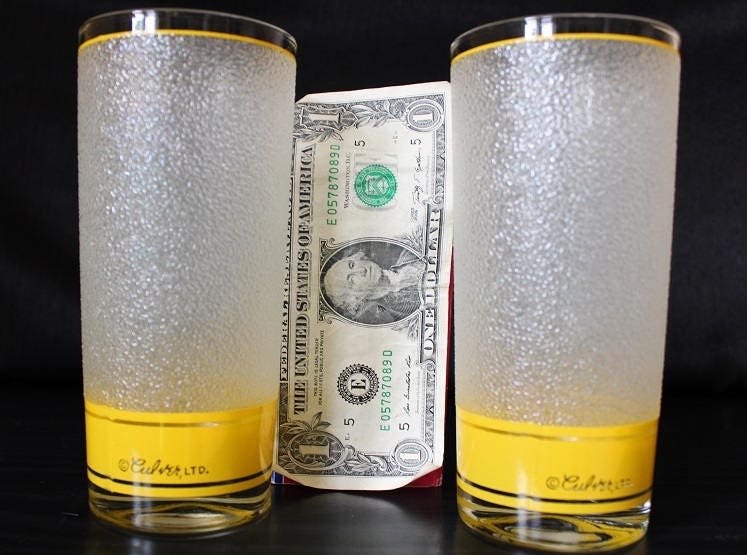 This wonderful set of six mid-century highball cocktail glasses are an overall frosted color with bright yellow stripe circling around the glass. 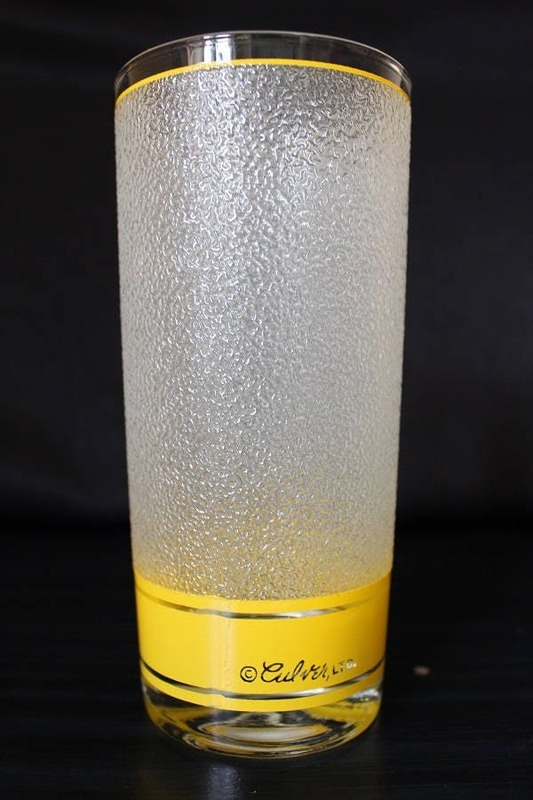 The rim and base are clear. 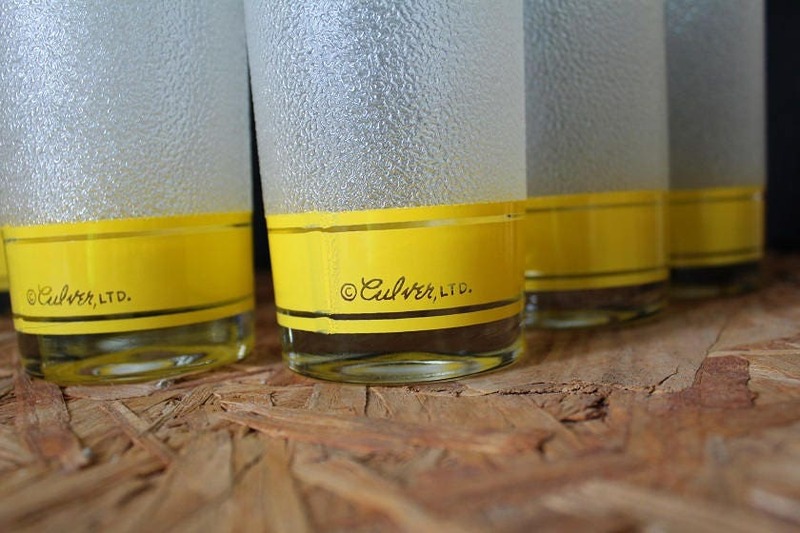 These glasses are signed "Culver LTD"